Custom letterhead can make both your personal and professional correspondence pop. Learn about different options for letterhead designer software and what program may be best for you. What's Wrong With a Word Processor? If you've been creating your letterhead in a word processing program like MS Word, then it's time you think about upgrading to a program that allows you greater options when it comes to crafting your letterhead. 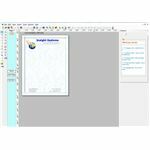 There are many great letterhead designer software applications available, and most of the programs are part fo larger desktop publishing software suites. Letterhead can be a great addition not only to your professional business correspondence, but also to your personal correspondence. Should you need to write a recommendation letter for a student or former employee, you will need to have professional letterhead for your letter to be taken seriously. Small Business Publisher is an all-in-one suite that helps you create professional looking designs for your business. The letterhead template in this program is easy to use, and you can choose from a variety of designs. The best part of using this software is that in addition to creating letterhead with your company name, address, and logo, you can also add background designs with a single click. Small Business Publisher is free to try and $54.95 to purchase. Not only do you get letterhead creation software for the price of just under $55, but you also get a suite that allows you to create brochures, business cards, and postcards to match. The program comes with attractive letterhead templates. The program is easy to use and fairly intuitive. 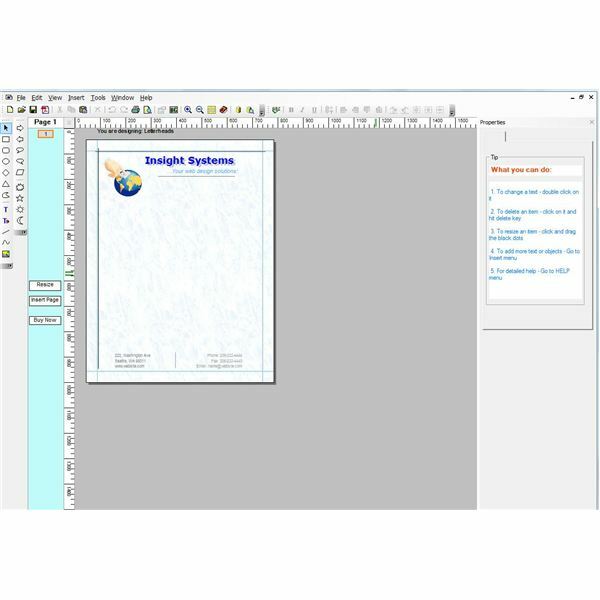 If you only want a letterhead designer software program, you may feel overwhelmed with the features. Some of the templates give you a retro feel. Easy Mail is an all-in one program for creating your letterhead and matching envelopes. The great thing about this program is that you can also write your letter in the text editor before mailing everything off to the recipients. The program is very basic, so if you are looking for something without all the bells and whistles of a professional design program, it might be the right fit for you. Easy Mail is a program that is free to try and $34.95 to purchase for permanent use. The program contains a text editor in the same tool as the letterhead creator. Easy Mail is easy to use. Create matching envelopes to accompany your letters. $35 is a lot of money for a program that just makes envelopes and letterhead. The program is a little "clunky" and can run a bit slow. Choose from business size or personal size templates. Create coordinating business cards and envelopes to accompany your letterhead design. 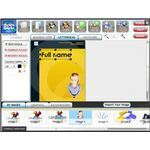 Easy to use and find tutorials to make the most of the program. Some of the template designs are not as professional in appearance as one might desire. 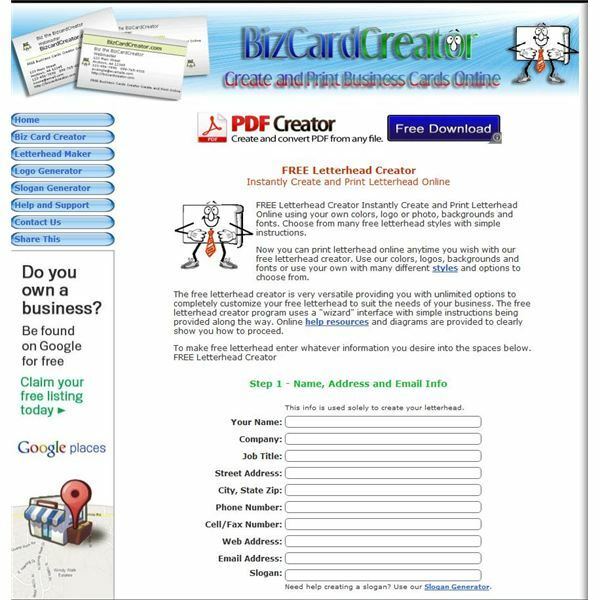 Biz Card Creator is a free online utility that allows users to create letterhead online for free. 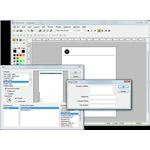 This free letterhead designer software program allows users to simply input their information into the form and then it generates letterhead templates based upon the preferences of the user. Once you enter your information, you will then be able to select the style of letterhead you prefer. Biz Card Creator is free. The utilitly is really easy for you to use. Laughingbird Software's Business Card and Logo Creator allows you to ensure that your letterhead, envelopes, and business cards all correspond to one another. 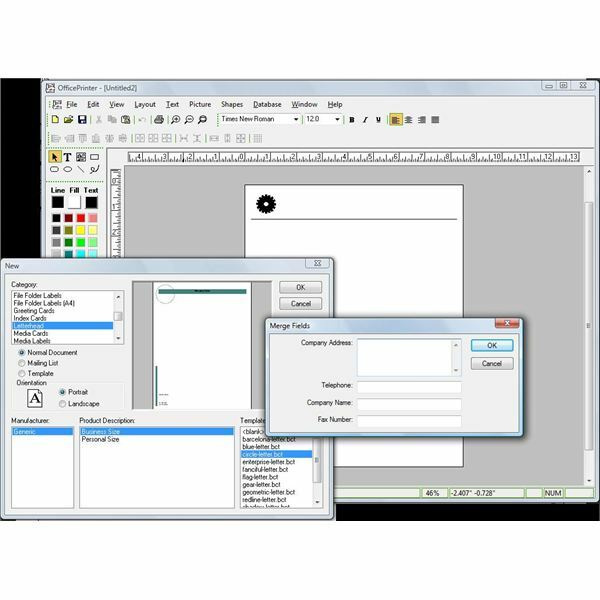 The program features an easy-to-use graphical interface that is not common in the letterhead designer software programs already discussed. You can easily use VistaPrint to print your creations online and have them shipped to your door, saving your printer's toner cartridge from overuse. Business Card and Logo Creator costs $39.95 and VistaPrint's services start at around $20. While there are few programs that allow you to create only letterhead, there are many options for creating letterhead that allow you to have all of your business's paper products correspond and coordinate to one another. You may also wish to use Microsoft Publisher for creating letterhead or Adobe Illustrator if you prefer working with vector graphics. Whatever program you choose, by putting time and effort into the creation of your organization's letterhead, you can ensure that your letter will be taken seriously. All screenshots by Ronda Roberts Levine unless otherwise noted.